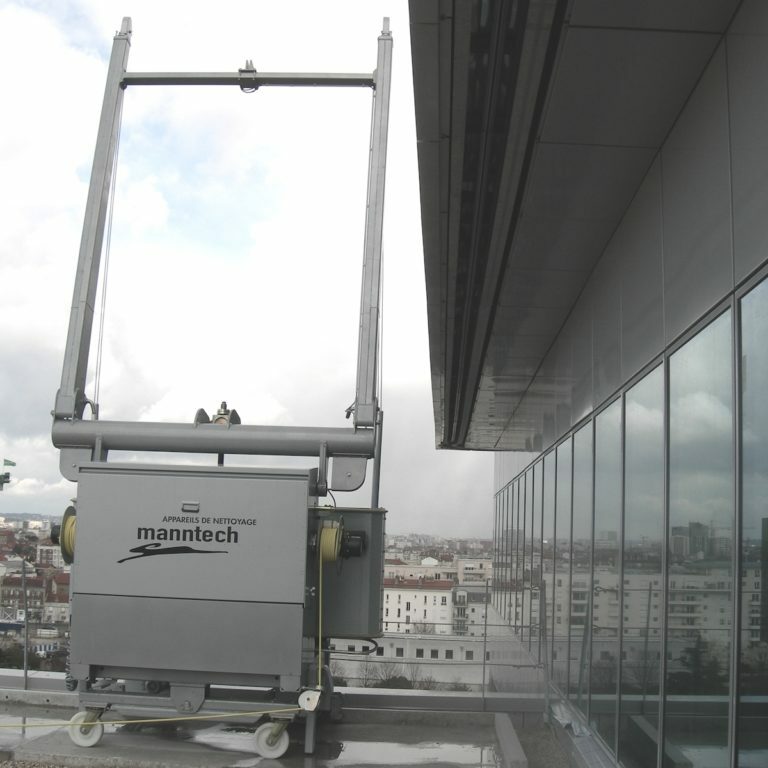 Wherever the building’s geometry allows, these proven and economical building maintenance systems are deployed on buildings without major protrusions or recesses. The technical conception of our machines guarantees immediate operational readiness and high work performance on the façade. Simple handling combined with hands on training means the operating and building management personnel can use them effectively and safely. 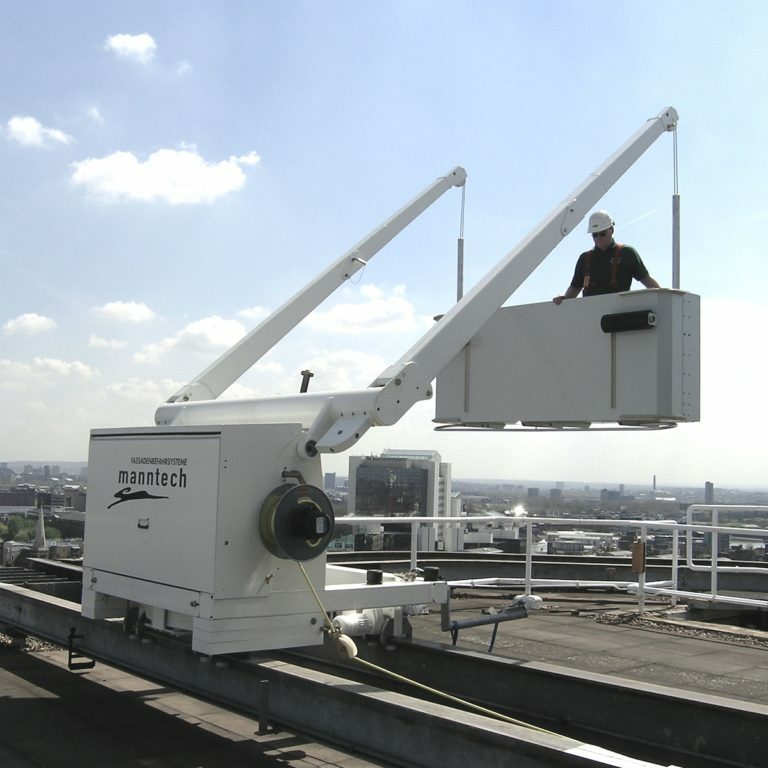 The Type 1.2 machine features a track system anchored to the roof parapet. This is a preferred access solution for buildings with insufficient space on the roof and/or non-load-bearing roofs, using instead a load-bearing parapet. 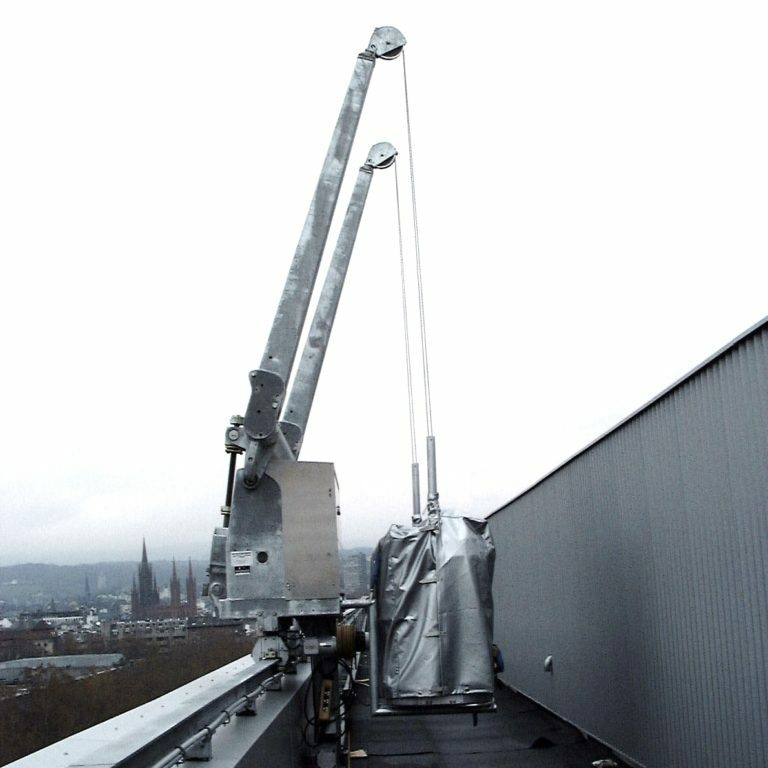 It also provides an access solution for buildings with extremely high parapets.